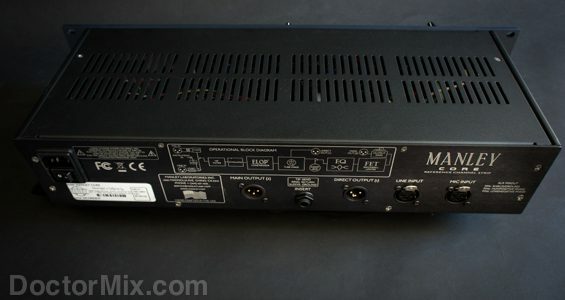 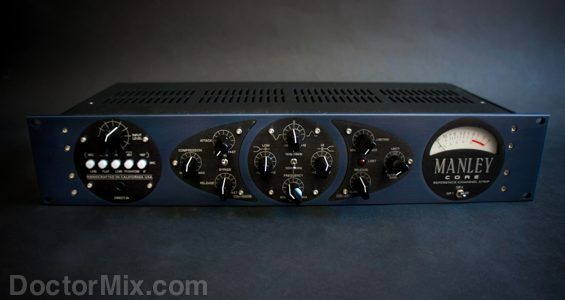 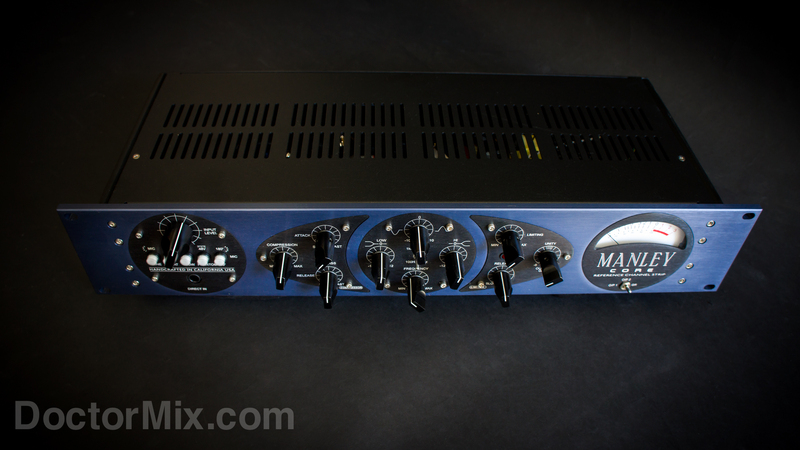 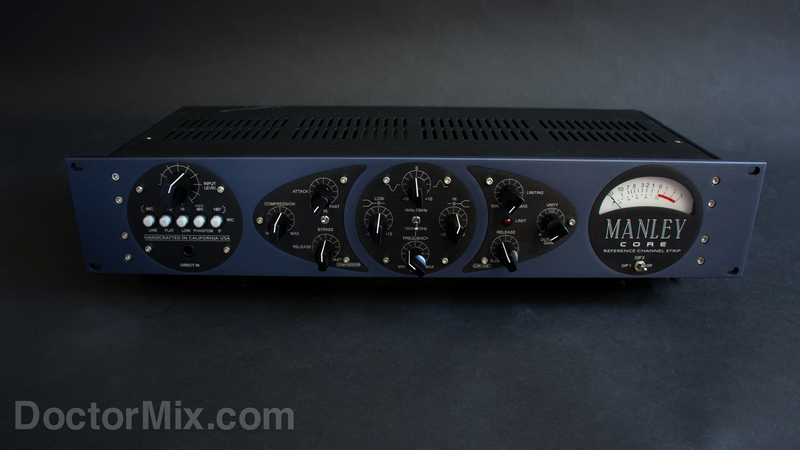 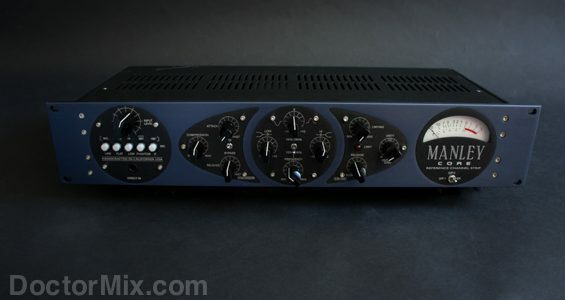 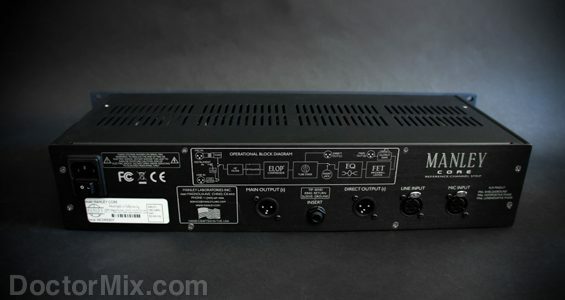 The Manley Core is a high quality tube-based microphone preamplifier, a compressor, an Equaliser and limiter all in one box. It combines the circuit design of a few different units Manley is famous for: the Voxbox, the Elop and the Slam. 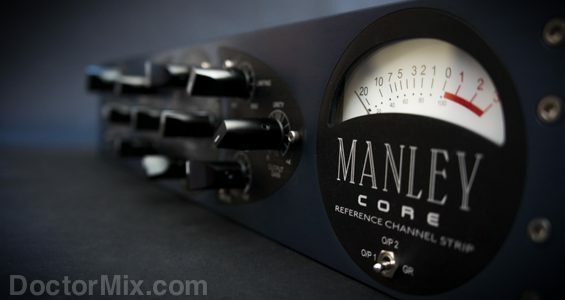 It sounds musical, smooth and with lots of detail. 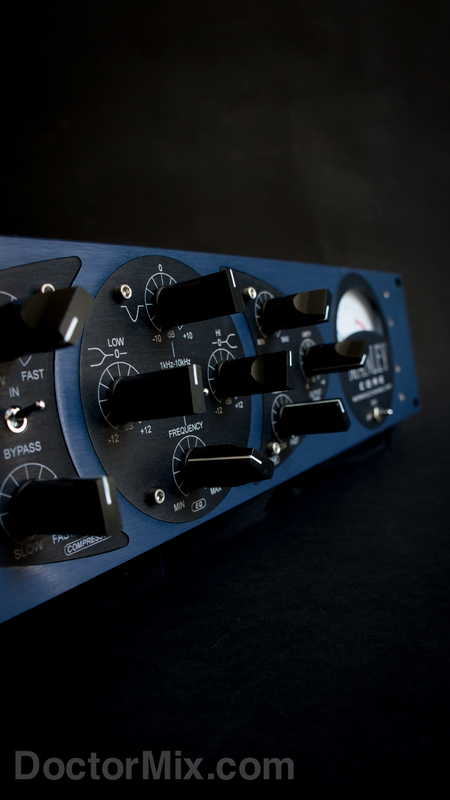 Designed specifically for tracking the Core is very flexible, capable of delivering a wide range of tones thanks to its many controls. 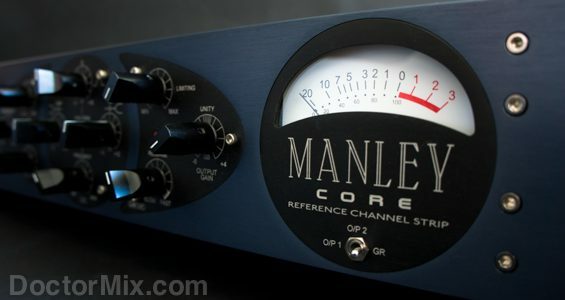 As you would expect from any Manley unit the Core is extremely well built, with its all metal case, a striking contemporary look and an attractive large blue backlit VU-meter. 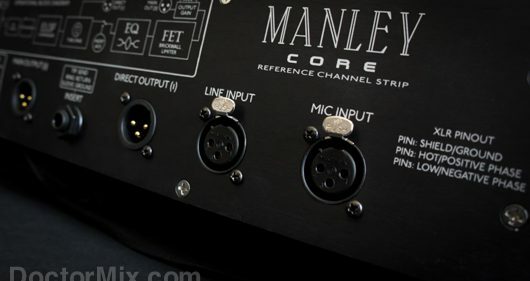 To left of the Core’s front panel is the input section which conveniently features a Direct Input 1/4 inch jack, as well as switches for: Mic/Line, Low Cut (120 Hz), Hi/Lo gain (20dBs boost on Hi), Phantom power and phase flip. 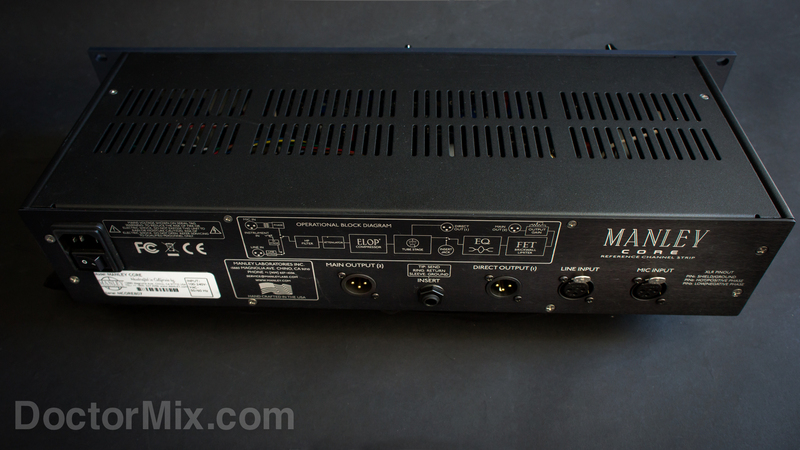 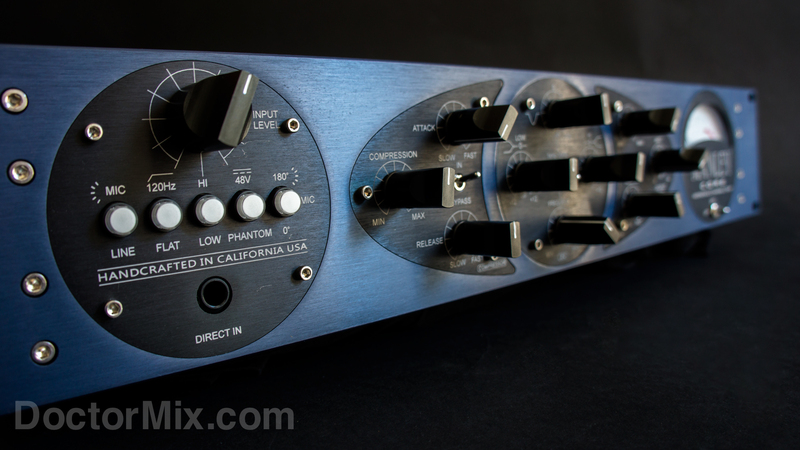 The sound of the preamp is round, clean, forgiving if not flattering especially on vocals and acoustic instruments. 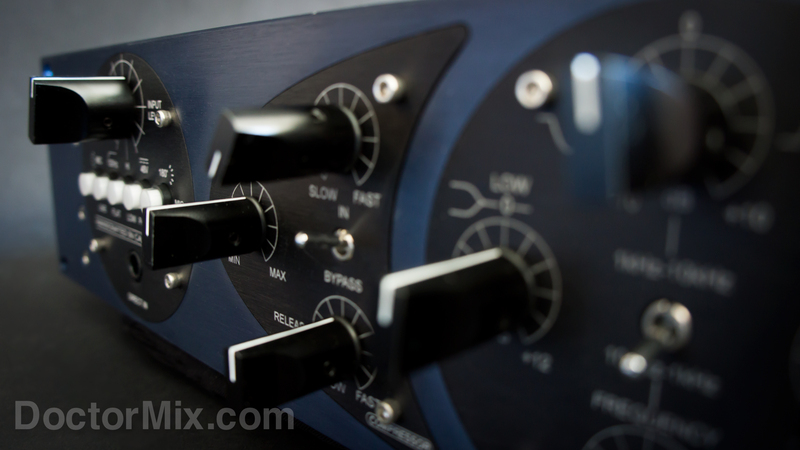 Next is the Voxbox style compressor, with 4 simple and effective controls: Compression, Attack, Release and Bypass. 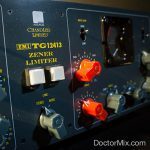 Using it for 2 o 3 dBs of compression when tracking or mixing vocals is where this section really shines, delivering a focused, consistent and polished sound. 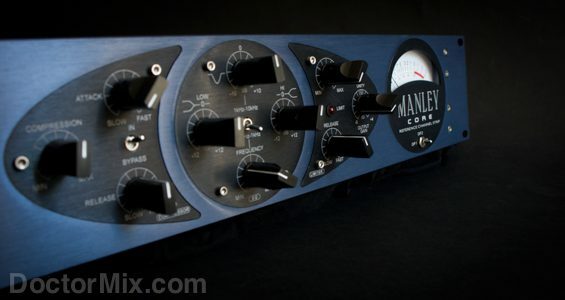 When used more drastically, this compressor will deliver more character but without sounding obvious or unpleasant. 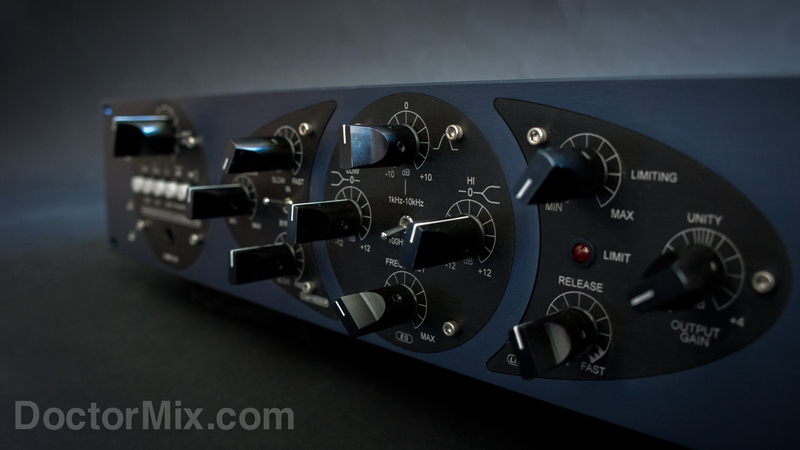 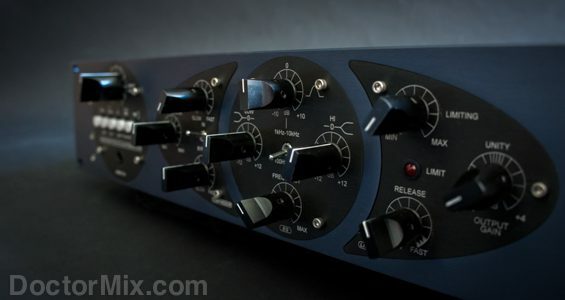 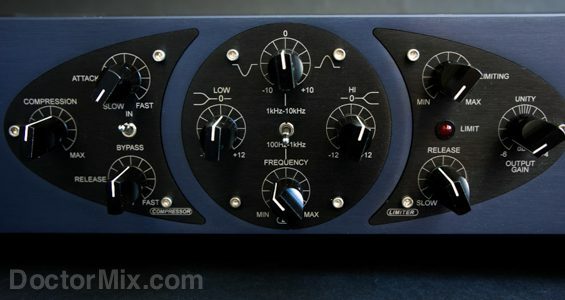 The EQ section has a High & Low Shelf controls centered around 12Khz and 90 Hz respectively. 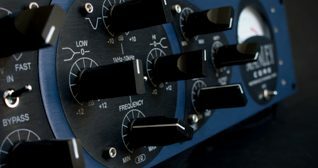  The mid-range section is continuously sweepable between 2 different ranges – 100Hz/1Khz or 1Khz/10Khz – which can be selected from the switch in the centre of the section. 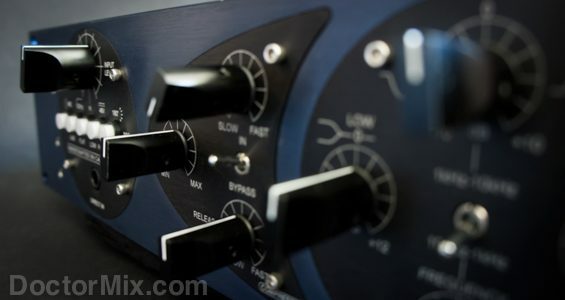 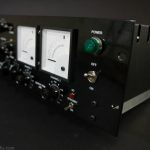 The a high-ratio FET peak limiter to the right of the panel adds a layer of safety before the signal leaves the unit. 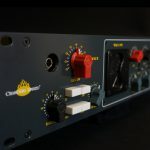 With a final output gain control of 10dB of range, the Core can be used creatively with extreme compression and EQ settings, without the risk overloading the A/D converter. 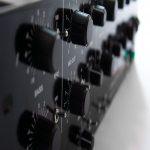 The back panel has 2 XLR input (mic and line) and 2 XLR output, one for the direct signal coming out of the preamp, and one for the main output. 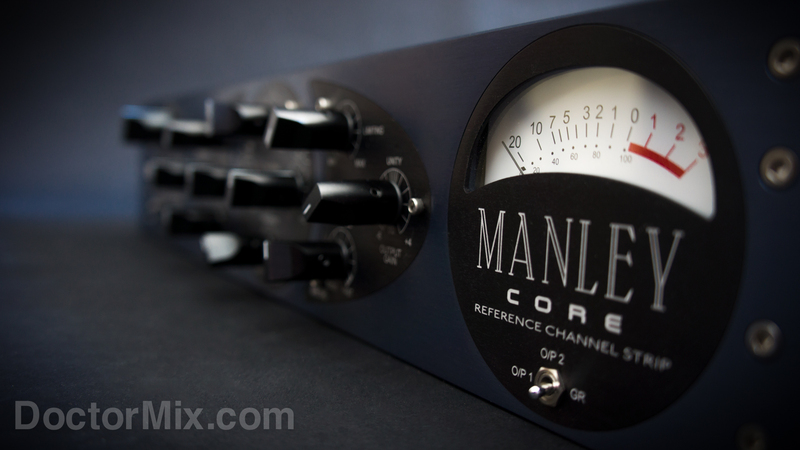 You can find out more about the Core on Manley’s product page. 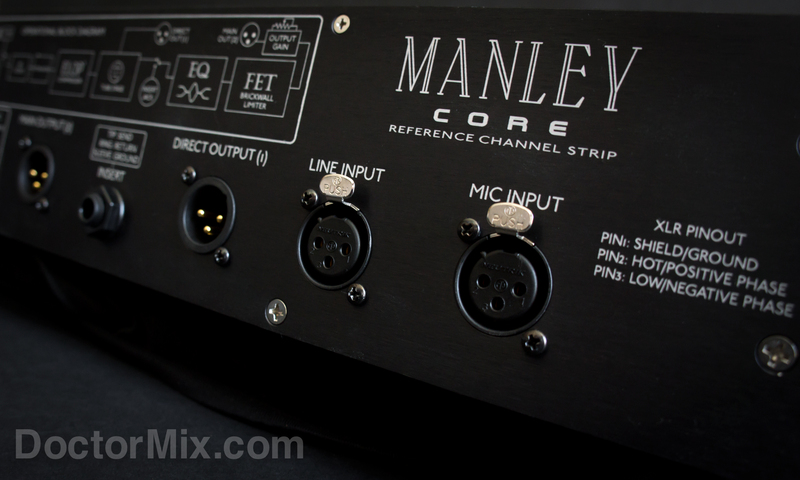 Download Manley Core’s user manual pdf file here.